As if the Christmas season isn’t wonderful enough, Apple has launched its annual “12 Days of Gifts” app, through which it will be giving away a game, book, movie, song, book, or some other digital gift to iOS 7 users, free of charge, each of the 12 days between December 26 and January 6. Although Apple has offered this giveaway in certain European and Asian countries for the past few years, this marks the first time that users here in the United States can participate. While no one knows exactly what will be included, you certainly can’t beat the price. Get your app by clicking here. 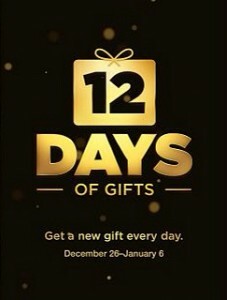 Source: “Apple’s ’12 Days of Gifts’ App to Bring Free Digital Goodies to U.S. Users” by Jeff Dunn, published at TabletPCReview. Apple’s iOS 7 was released about two weeks ago, and everyone seems to have an opinion about it. I downloaded it the first day, and I like it overall. Sure, there are some things that take a little getting used to, but that’s the price of new technology. iMore published a comprehensive guide that tells you everything you could ever want to know about iOS 7. If you want to learn some tips/tricks or discover more goodies, check it out. Best of all, it’s free. Source: “iOS 7 Review” by Rene Ritchie, published at iMore. Screen brightness is the single most significant contributor to battery depletion. To check or change your screen’s brightness, tap Settings –> Brightness & Wallpaper –> adjust the Brightness slider. Maps and directions can seriously drain an iOS device’s battery, particularly if the device is searching for GPS and/or giving driving directions. Airplane mode helps preserve your device’s battery life by turning off multiple wireless features, including Wi-Fi, cellular antenna, GPS, Bluetooth, and location services. Using iTunes Home Sharing to stream video from a Mac to an iOS device will drain your battery much faster than watching a movie that is already on your iPad. Calibrating your battery will provide a more accurate estimation of your remaining battery life, but it doesn’t actually help preserve battery life itself. Utilizing Location Services doesn’t expend much battery itself, so long as your device isn’t being actively and consistently used for maps or driving directions. 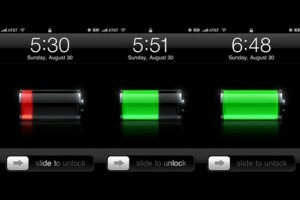 Battery utilities may provide helpful information to help you manage your battery life, they do not do anything themselves to do so. 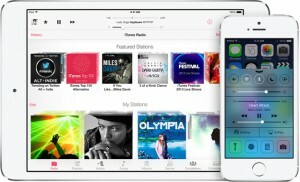 AirPlay streaming did not take a significant toll on battery life, even though it seems like it should. Turning off equalization during audio playback had little to no affect on battery life (despite Apple’s tip suggesting that it does). Source: “Fact or Fiction: Nine iPhone and iPad Battery-Saving Techniques Tested” by James Galbraith, published at Macworld.com. I am pleased to present the conclusion of the Guest Post from Jim McLaren and Jonathan Lounsberry explaining how they use iPads and Macs in their family law practice. If you missed it, you can click here to read Part One. Thanks again to Jim and Jonathan for sharing this information with my readers. Once all of the depositions are completed and the case is moving towards final preparation for the trial, we identify the key exhibits for trial. An exhibit list for each witness is prepared, as is an overall exhibit list. All of this is keyed in and correlated in the Trial Notebook. Besides creating exhibit lists, we also prepare lists of the potential witnesses and issues. The exhibit, witness and issue lists are used to create our trial outline giving us a “roadmap” for trial. With all the outline and lists completed, we are generally ready for the trial and the presentation of testimony and exhibits. Our basic set-up in the courtroom is much like our deposition set-up. My rule-of-thumb is to be totally self-sufficient and not depend on any locally provided services. We bring the MacBook Air, iPads (Wi-Fi and 4G), extension cords, multi-plugs, 4G Hot Spot, chargers, VPN and Wi-Fi access to our servers at the office, thumbdrives, printers, gaffer’s tape and everything else we need to operate throughout the trial. We usually request a staging room (if available) where we keep the printer (set-up and ready to use), an additional computer and hardcopies of documents (separated by day in which we anticipated using them). In the trial of a case, we use TrialPad to present our exhibits. Clean paper copies of the exhibits are marked and entered into evidence as official exhibits, with copies to all involved counsel and an extra copy for the judge. As each exhibit is entered into evidence, our highlighted exhibits in TrialPad are put up on a screen (already in the courtroom or provided by us) in front of the attorneys, the trial judge and the witnesses. Important portions of documents are displayed using the “call out” feature of TrialPad. Either an associate or a paralegal operates TrialPad from our counsel table; quite effective and easy to use. No fumbling or waiting until the witness gets to page 188 of a 256 page document – we take the witness, the trial judge and all counsel directly to the excerpt. Another effective way we present testimony and evidence in trial is through a PowerPoint presentation (or Keynote, if you are a Mac-user). I have found that using a PowerPoint presentation allows for a more structured examination of a witness or opening/closing argument. We like to keep our slides simple, illustrating single points or facts. Our motto is “detailed brevity”. This is important to keep the trial judge or jury focused and able to easily retain a larger percentage of the witnesses’ testimony. 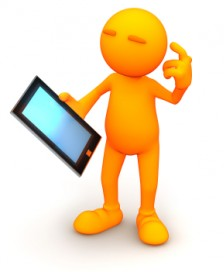 Depending on the length of the hearing and the electronic capabilities of the courtroom, we use either a laptop or an iPad (through Keynote or TrialPad) to present our PowerPoints. Most of our office hardware and software is Microsoft-based. While some are Apple-based, that is the exception. Prior to the spring of 2011, I always had a reluctance to move into Apple products fearing they would not be compatible or usable with our Microsoft-based systems. Having incorporated Apple products into our workflow, I find the Apple products are not only very intuitive but each product has become almost indispensable. Using Apple products has definitely changed the way we present a case during trial. I hope you find this post helpful. My goal is to give the reader an idea of how we use technology in our practice, and I hope your path to successfully using technology in the courtroom has been shortened. Thank you. Family Trial Lawyers and a Fellow of the International Academy of Matrimonial Lawyers. Jonathan W. Lounsberry has B.A.’s in Philosophy and Political Science from the University of South Carolina (2006) and a J.D. from the Charleston School of Law (2009). He is a member of the Charleston County Bar and the South Carolina Bar. He practices in the areas of complex domestic litigation and juvenile justice. First, I want to thank Ben Stevens for giving me this opportunity. My intention is not to lecture on how to handle a case from top to bottom. Rather, I hope to share my firm’s learning experience in dealing with technological and organizational challenges in critical phases of the litigation process. The choices, good, bad and in-between, will be shared. Hopefully, some of our experiences will shorten your path to successfully using technology in and out of the courtroom. Remember, this is a team effort. Our staff is very specialized and experienced, each having an integral role. Input and participation from everyone in the office is essential. All lawyers and staff must know how to fly the plane. Since our approach to litigation of cases is a team effort, everyone on the team must be able to use the necessary tools. Like many, we began with carbon copies and semi-manual typewriters. Now, we are fairly sophisticated from a technology standpoint, always trying to stay on the cutting edge of technology. When a case demands it, everyone in the office collapses around and works on that case during critical stages, such as preparing for trial, hearings or depositions. We endeavor to produce (in a short period of time) high-quality legal work. We use technology throughout all phases of the litigation process. The two phases where technology has the most impact are depositions and trial. Below are the ways our firm uses technology during these two critical phases. In depositions, I prefer to have three iPads in front of me as well as my MacBook Air, together with multiple hard copies and an index of all exhibits and a list of questions or subject areas I intend to cover with the witness. Why do I use three iPads? On iPad #1 (Evernote), I have my deposition cross-examination outline, and any summaries or comparative analyses I plan to refer to during the deposition. Evernote allows me to collect and combine a multitude of information into a single repository. Also with Evernote Business, anyone at the firm can access and update the deposition cross-examination outline, summaries or comparative analyses. We refer to this iPad as the “OutlinePad”. On iPad #2 (PDF Expert), I have annotated copies of all of the exhibits I intend to enter during the deposition. PDF Expert allows me to annotate the exhibits and highlight what I am going after. Other good Apps for that purpose are Adobe Reader, iAnnotate and Good Reader. We refer to this iPad as the “ExhibitPad”. iPad #3 (BT Chat HD), is used exclusively for communication during the deposition with my experts, my client and co-counsel. I have used both email and messaging (BT Chat HD or Apple iOS Messages) for this purpose. I find messaging is the best method, being a little bit cleaner and more efficient. Messaging eliminates the clutter of email chains and extraneous emails. We refer to this iPad as the “YammerPad”. Sure, you can get away with one iPad, but it is difficult to maneuver between the screens in the heat of a deposition. It is better to have three – they are cheap and make your work easier and more manageable. On the MacBook Air, we maintain the case Encyclopedia Britannica (Trial Notebook) allowing me to access any information about the case, particularly anything I have overlooked in preparation. You should not undervalue having everything about the case with you. The witness probably will bring up some obscure document you logged, bates-stamped and have readily available in the Trial Notebook. James T. McLaren maintains a statewide family law practice emphasizing complex marital litigation in Columbia, South Carolina. He is a partner in the law firm of McLaren & Lee. He currently serves as First Vice-President and is on the Executive Committee of the American Academy of Matrimonial Lawyers, and he is a Diplomate of the American College of Family Trial Lawyers and a Fellow of the International Academy of Matrimonial Lawyers. Lynktec was kind enough, once again, to provide us with one of their new products to test drive for our readers. 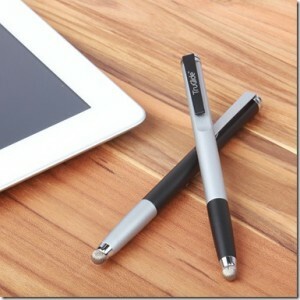 The TruGlide Pro Precision Stylus is a new universal stylus for iPads, iPhones or any touchscreen device you may have. After using this new tool, we can recommend this as a favorite among soft-tip styluses. The stylus tip is microfiber, which makes it super smooth and at just 5 mm, much more precise than your fingertip. In fact, we found the TrueGlide Pro to be a far better writing tool than all of the other soft-tip styluses we’ve tried. While artistic skills are not high on our list, this stylus is also a favorite of digital artists. According to Lynktec’s website, a new conductive silk artist paintbrush tip is coming soon as an additional tip option that can be interchanged with the microfiber tip. The TruGlide Pro is currently only available in two color options (silver or black) and it’s sleek design makes it the perfect accessory for the busy executive looking for “practical and functional” or the digital artist looking for “beauty and design.” At $29.99, and with a promise that “no replacement will be needed anytime soon”, it may be a little pricier than most styluses, but we think the style, design and the overall performance are well worth it. How Many Lawyers Use Mobile Technology Today? Thanks to Matt Spiegel and the folks at MyCase for creating this infographic and for allowing me to republish it on my blog.